there was a package waiting for me. It was the SLS3 running belt. 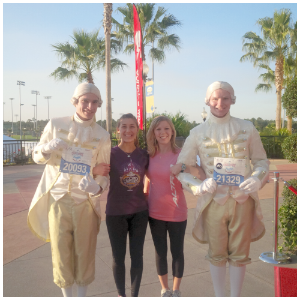 And like all runners, we love testing out new products so of course I had to take it for a short run. I know many of you have read about this or even gotten to try this out so I will just tell you my opinion of the belt. The belt I thought was very good quality opposed to some other ones that are cheaply made. There are two large pockets that expand to fit all your running essentials. I normally do not carry my phone on my runs because of the bulkiness and it just feels uncomfortable. But this time I thought I’d give it a try. I have a Samsung Galaxy S4 mini. (I thought I would clarify that because I am not sure how big the S4 actually is). But I do have an Otter Box on it, and we all know how big they are. My phone fit in there perfectly. During my run, the belt felt very comfortable and stayed in place with no riding up. I didn’t even feel my phone move around. Saw this snowman on my run. Funny that there is barely any snow on the ground. Since I normally do not take my phone with me on runs, I thought I would take a picture. 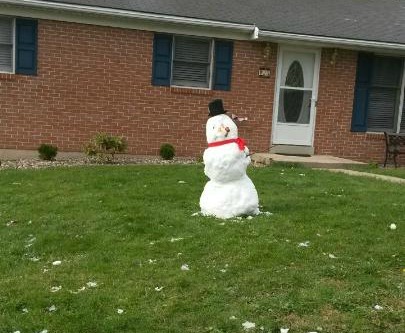 I got a kick out of this, seeing a snowman in April. Hopefully this is the last of it for the season. If you were able to test out this belt, what did you think of it? 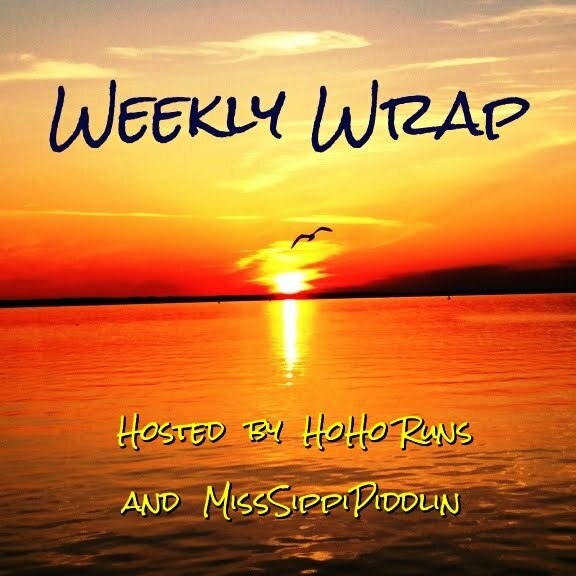 We are linking up with the Weekly Wrap. I liked the belt, a lot, just as I've liked all their other products. I always carry my phone on the run for safety reasons, and it's nice to have a separate pocket for other things I might need. Yes,two pockets is definitely nice. Sounds like a good belt! I carry my phone in my Spibelt just in case of emergency, but I use it all of the time to take pictures. I tried to get a picture of a wood duck twice this week, but it heard me and flew away each time. Third times a charm. 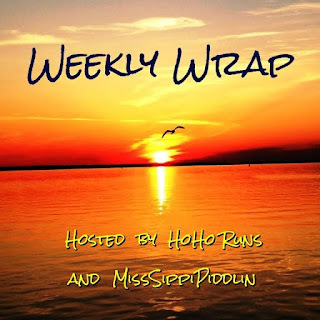 Maybe you will see it again this wk. Love the picture of the snowman :-) I live in Maine and it has snowed twice already this month...April!?! We did have a beautiful weekend here though! The belt looks great! 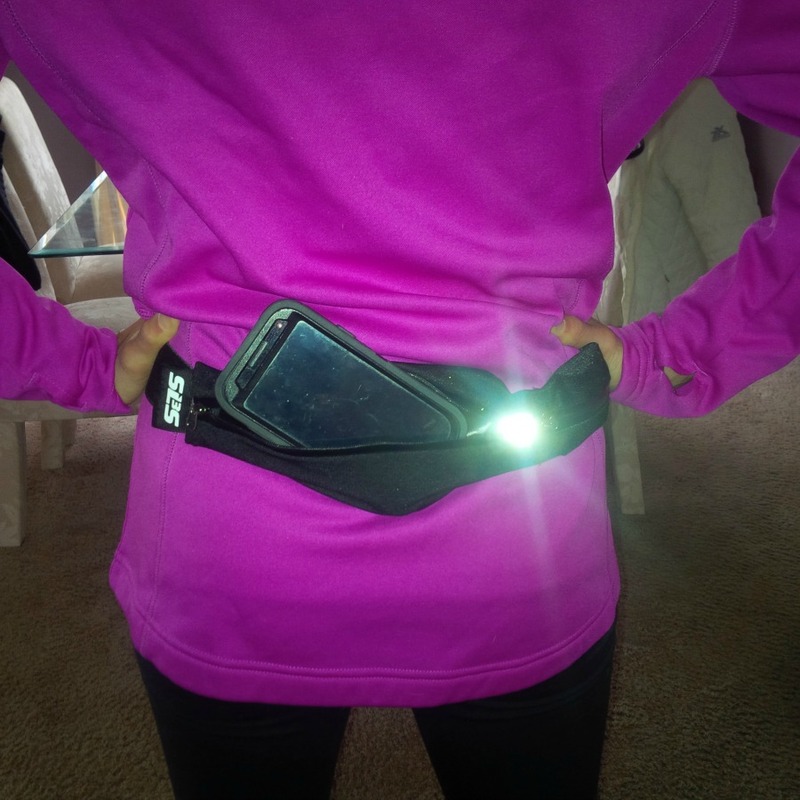 I wear a fuel belt for my runs, even short ones so I can keep my phone with me, but I will have to check into this for shorter runs, have a Great Week!! I couldn't believe it snowed here in April. Yes, a great belt for shorter runs when you don't need water. I tried this belt too. And, I put my heavy otter-boxed phone in it. I couldn't believe how comfortable it was. It still scooted up to my waist, but it was so comfy I didn't mind it. I used it last weekend on my bike ride too. That snowman looks so out of place on that green grass! Thanks for linking with us. I couldn't believe how comfortable it was either. Yea it is silly to see a snowman where there isn't any snow around it. Thats great that you didn't even remember you were wearing the belt! We had some gross weather too. I am really ready for spring! Yes, very comfortable. So am I. I hope Spring is soon here to stay. Hah! So funny that you forgot you had your phone. I won this from another blogger and found it hard to get my phone in and out - it fit fine, but wouldn't be easy for mid-run use. I never use my phone mid run, but when I did take it out to take pic of snowman I had no problems. But I'm sure we have different phones. I also tested this belt, and liked it. It rode up to my natural waist (but every other belt does, too). I thought it was comfortable, though, and once it got positioned on my waist, it did not bounce (and a lot of the other belts do). I thought it was a great product! I didn't find it bouncing at all either. It didn't ride up for me but I did have a heavy sweatshirt on that day. I wonder if it will when I wear the belt w a tank top. It is pretty funny to have snow in April. But, this weather can end SOON! I can't take it anymore. I currently, sometimes run with a flip belt, but do find that it rides up from my hips. May have to try out the spibelt. I have never tried that belt. The only one I have tried is the FlipBelt, which I do like. That is so funny that you forgot you were wearing it. Must be real comfortable! Snowman in April - glad you had your phone with you! Still running in winter gear over here too unfortunately! That belt is great I have it too! I am currently in love with my 3 year old running belt! it's all faded and it's starting to lose stretchiness... but I've had it for so long that I'm scared to look for a new one! Yes, we woke up to snow here too... but weather is weather... I just know I can't wait to complain that it's too hot! 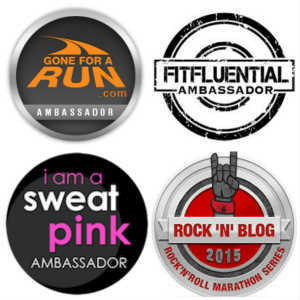 I have one of these too and my husband wore it in his first 8k this past weekend. We both have the huge Note 4's and he did have to take off his bulky case but it did great for him! I'm with you I have to try things out too as soon as they come in. :) Thanks for linking up with us! Sounds like a good belt! I use a SpiBelt that I've had forever. Love the snowman pic - hopefully we've all seen the last of the snow for a while! I only wear a belt on long runs because I don't like things around my waist. But I always bring my phone, so I look for clothes with pockets ! Very strange about the belt company. Glad you liked it. I am not typically a belt-wearer - I prefer to wear my phone in an armband. Belts that don't ride up are the best! I use a flipbelt on occasion and thats one thing I really like about it.